Here we will give you the meaning of the mirror hour 09:09. You came across this double hour accidentally, but was it really an accident? Actually, it was your subconscious on auto-pilot, or perhaps being guided, which led you to see this hour. This is the phenomenon of synchronicity. On first glance the mirror hour 09:09 is just a simple hour on the clock, but it could be a sign sent to us meant to pass along a message or give guidance. The message could come from ourselves, from an angel, from an entity, or from someone who is thinking strongly of us. 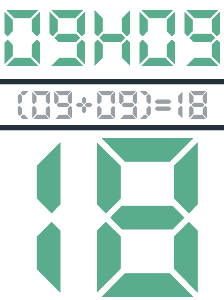 Here you will get a complete interpretation of the hour 09:09, which will allow you to better understand the meaning behind this double hour’s appearance. To do this we are certainly going to look at the angels, as well as numerology and the Tarot of Marseilles. The number 9 is present in Greek, Egyptian, and Chinese mythology. This mirror hour therefore has a special link to the deities of the ancient world. One of the messages which the angels wish to send you through 09:09 is that you should be living your life and exploring the limits of your potential! This is important for you, but also for others. You have a beautiful soul, and you should give things your all. This will be of help to many people. Many see you as a role model! You should be aware of the responsibility that this entails. It is up to you to show a good example, to share your perspective on life, and to help those around you to see the positive side of things. You are the bearer of a benevolent and spiritual light which helps others to combat their doubts. Life is complex in many ways and you will sometimes need to take a break from it. The angels encourage you to develop your inner world. They will help you in your research of the spiritual plane, and will guide you towards information which will help to complete your spiritual awakening. You will have the energies you need to find an inner balance. You give a lot to those around you and it's completely normal to need to refocus yourself. When you see 09:09 try to find a few minutes of alone time to meditate. 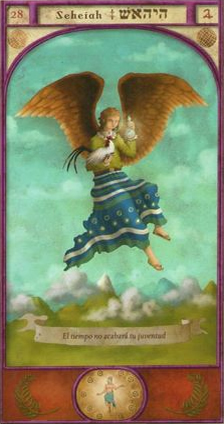 The angels will share their energies with you and help you unwind. The guardian angel corresponding with 09:09 is Seheiah whose period of influence extends from 09:00 to 09:20. He symbolizes longevity of existence both physically and spiritually. He is the angel who promotes the gift of mediumship. If you often feel as though you can see the future of yourself or those close to you, then this is him guiding you. He shares with you flashes, feelings, or for those who are clairaudient, sounds. He is your protector! He will protect you from disasters. He provides you with a celestial armor to keep you safe from sickness, fire, and lightning. He will guide you on the path of life which will allow you to truly thrive. Let your spiritual guide carry you, for he wants to take you right to happiness’ door! What does 09:09 mean in Numerology? 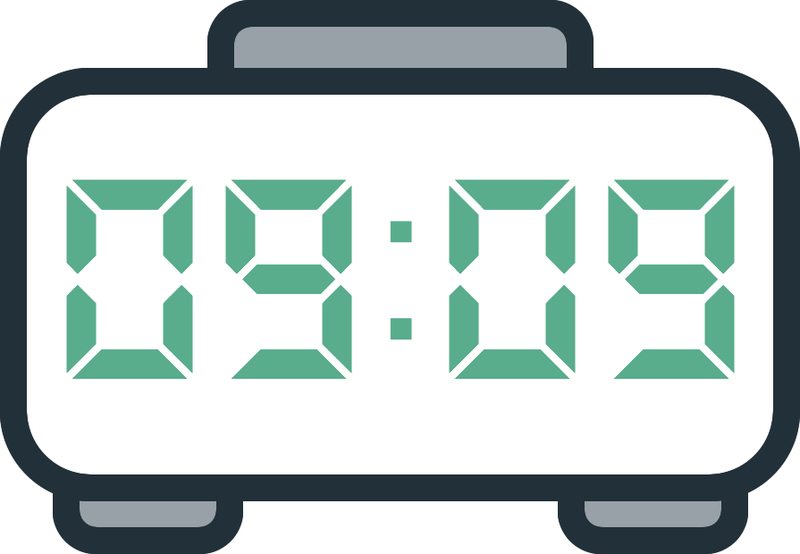 The total value of the mirror hour 09:09 is 18, which highlights your impressive ability to sense things in advance. You have a strong intuition. You have an overwhelming imagination which is especially evident in your dreams! Take the time to study them, because interpreting dreams can be the source of important information for your future and the road your life will take. You are someone who helps others. You give a lot yourself without asking for anything in return. Your love for humanity and the charity which defines you make you a bearer of light. You are a very tolerant person, but be careful not to wait around too long if a situation or person turns out to be bad for you. You will risk wasting precious time and energy. The double hour 09:09 shows that your perseverance will be rewarded! You have the inner courage you need to reach the goals that you've set for yourself. Pay no mind to spiteful tongues or pessimistic people. Where there's a will, there’s a way! And your determination will do most of the work, which will be a surprise for many. However the number 18 also indicates a kind of instability in the realm of your emotions: negative vibrations which can build up a kind of passivity or a fear of failure inside of you. To make history, you have to be part of it. You should take the time and space you need to analyze your feelings. This will stop you from making bad decisions on the spur of the moment. 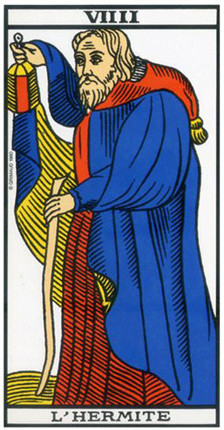 The Tarot card corresponding to 09:09 is the Hermit! It symbolizes a time of introspection. You are going to focus on yourself. This is a period in which you will develop a kind of solitude around you. This Arcanum represents age, asceticism, or even deprivation. He suggests that you should show wisdom and patience if you encounter a difficult situation. The lantern he holds in front of him provides the light needed to lift the veil on the obstacles you will meet along the way, while the stick guides you towards the future with serenity and determination. When this Arcanum appears in a bad position in your Tarot reading, it gives clear indication that you will be met with setbacks in your endeavors. The negative side of the Hermit is that he is a source of isolation from the world. He is also a symbol of age. In love, he is the symbol of isolation. He shows that communication is often absent from the relationship, which can be the source of doubts. One could sometimes even say sadness. In your work life, he shows that you are going to encounter the unexpected. He gives great powers of analysis to those who seek them. In financial matters, you may experience a period of deprivation. You are going to need to revisit your priorities when it comes to your purchases! Any comment on the 09:09 mirror hour? And go out into nature. !!! Yes! So on point! So needed! I’m happy I was led to see it! I DO take care of and give to others all I have.I DO need 20 min to myself.i have let opportunities pass.i know now I have universal spiritual,Divine help! TY,! Just guide my way please divine. Help me make the right choices! Thnks for being by my side everyday.